Shots from my trip to Iceland in November of 2015. 100% filmed on an iPhone6s. Edited in Premiere Pro + After Effects. Toronto the good from Oscar Flores on Vimeo. If you’ve cruised my blog before, you may have noticed that I’m a big fan of time-lapses… Well there’s a new one based out of Toronto, shot by Oscar Flores, celebrating the city at night and per usual, I love it! The city at night is a beautiful thing; the lights, the sounds, the energy and more. NYC has always been known at the city that never sleeps, and people have always compared Toronto to the same vibe. I’m not too sure how true this is (and part of me always doubts the comparison), but I do know that it’s pretty darn magical to witness either way. So I missed Valentine’s Day by almost a week… but that’s okay, because this isn’t a playlist about love, or lust, or chocolates and flowers. No. Today I’m doing a different kind of “V-Day” by shouting out artists with the letter “V”. Sort of like Sesame Street. Yes, exactly. *Just to note: I had such a hard time deciding on songs for this. There aren’t THAT many artists/band that I really like that start with “V”. Let me know on Twitter if you can think of more. I’m always interested in finding new tools to help make analyzing data, curating content and dealing with consumers (both publishing and listening) easier, as well creating value. I’ve come across this “Vendor Landscape” from TrustRadius before and am very interested to know how these tool really stack up. Note: I especially love when certain vendors overlap in multiple categories, in a “two birds, one stone” sort of way. Have you experiment beyond native tools? If so, I’d love to hear about your experience with them! For this post, I’d like to focus more on the back-end of LinkedIn company pages, rather than just the visual style of the front-end, which has also changed. These are best suited for smaller businesses using LinkedIn as well as more seasoned social media types who still find the platform lagging in certain areas, these new features and sections are a big improvement. The first big thing is the Notifications; located at the top of your company page next to “Home” and “Analytics”, you can now see a “Notifications” section. Here you will find an overview of your page’s daily, weekly and monthly performance (pictures above. You will also find an overview of all notifications on old posts published to the page. These both include likes, comments, shares and mentions. 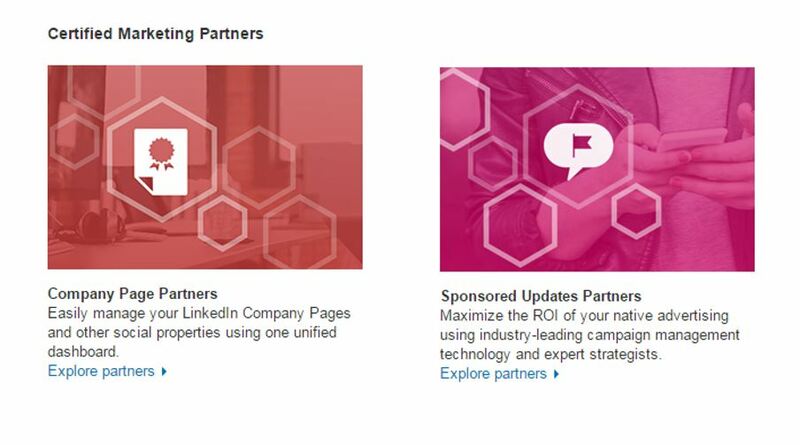 The next section to note is the Certified Marketing Partners; these are very, VERY similar to the Facebook Marketing Partners (formerly known as PMD or sPMD). These come in two parts: the first is the company page partners, which focuses on page management such as analytic partners, social listening tools and publishing tools (which is a big help for community managers, as there is still no native scheduling system). The second is the sponsored update partners, which focuses specifically on advertising on the platform, such as tracking performance, publishing and even strategy aid. Lastly, there have been a few updates to the Analytics section. First, sprinkled throughout the analytics tab found at the top of the page, you may notice a LOT of suggestions throughout. These suggestions pair with the specific type of stat you are looking at, for example, if you are looking at Reach/Impressions, you may see a suggestion to sponsor an update to increase these numbers. They’re a little annoying to people who already understand LinkedIn marketing, but I can see how this would be useful to someone just starting out. The second part of the analytics section to note, is the native analytics themselves; LinkedIn is now showing both impressions AND reach (previously only impressions). They are also beginning to break out different types of engagements (clicks, comments, shares, likes, etc.) rather than just clicks and interactions. This last section is still catching up, but hopefully these will begin showing accurate numbers soon. So let me know, would you find any of these tools helpful? 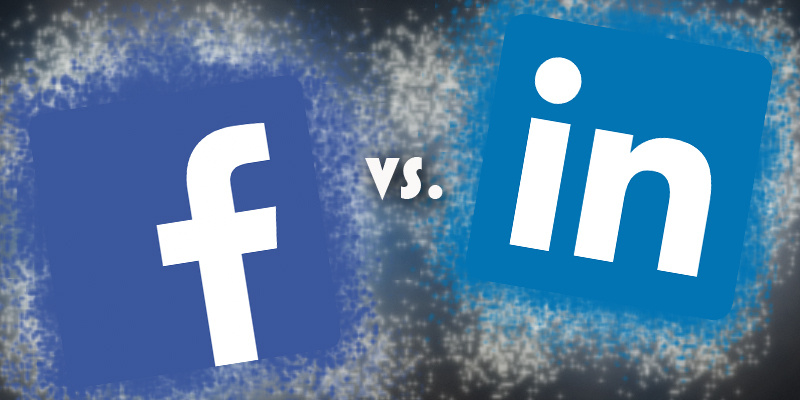 These are all perfect reasons why creating a brand presence on LinkedIn makes sense; however, does this mean that more effort should be put into LinkedIn rather than Facebook? In my opinion, no. LinkedIn being still relatively new lacks a LOT of what Facebook has already spent years perfecting. I believe that Facebook still excels in three main areas: Audience insights (interests and usage), advertising (self-serve ads and better targeting), and finally media type publishing options. The back end of LinkedIn just does not compete – it’s incredibly basic, in the sense that knowing your audience and advertising to them is very limited. And next, on the front end, it is just no where near as aesthetic: photos are very hard to optimize for both desktop and mobile, and there are still no native video option. Also… what’s sup with their news feed algorithm? It feels busy, and cluttered and just doesn’t makes sense seeing things from weeks ago beside recent updates. Just odd (and I know I’m not the only one who thinks their news feed could use some work). For another perspective for the comparison, check out [this great infographic] specifically focusing on the advertising on both platforms. The first is a given; go where your audience is, and go where the most of them are. But when your audience is in the “millennial” group, this is generally thought to still be everywhere… but not necessarily. Some social networks still skew more male or more female, so this should be considered. Also, what type of message are you sending? For example: are you a quirky, crafty brand – consider Pinterest or Instagram, which are both very visual and captivating. Or are you a very savvy, intellectual brand – consider Twitter or LinkedIn, which both appeal to people who actually want to take the time to read, and learn more. Now to my second point: What can I afford. I’ve always been told and believe, “Don’t try to do everything. Instead focus on doing one thing really well.” If you have a large budget, and can afford to hire people that know these networks inside and out AND have the around the clock time to moderate and manage these accounts, then do everything… However, if you can only afford to do one really well, then do it. It just does not make sense to try doing everything, if everything does not live up to a good standard; by this I mean leaving networks silent for long periods, or creating low quality content. That “it’s about quality, not quantity” thing really does apply here. ** I will note though: If you are worried that people will take your brand name and use it their own handle (which does happen, and can be very difficult to get back), then go ahead and secure these. But if you are inactive, leave a post, tweet or status that points to your website or another network that is active. I came across this incredibly simple yet helpful guide for which social networks your brand should be on. Check it out [here]. If I was to recommend one network right now, it would be Facebook: The highest audience, the highest time spent, an advanced ad platform (targeting), and a variety of media options (especially now since they’ve ramped up video). And yes. Tell me what your favourite networks are and why! The navigation links at the very top, “What to Watch” and “My Subscriptions” now includes “Music”. 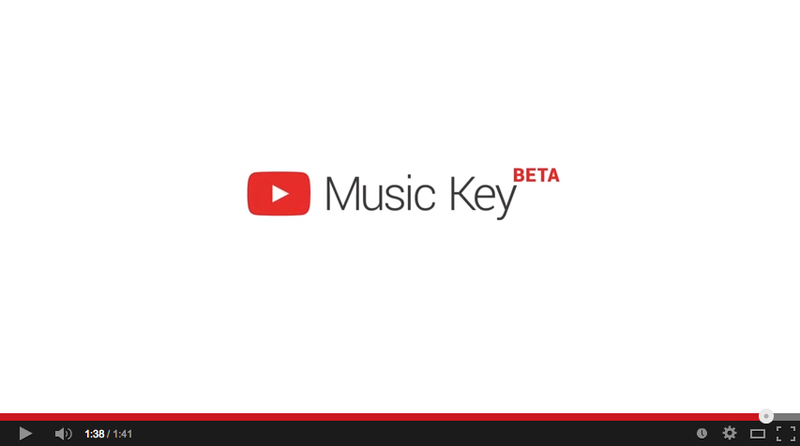 Since I am a lover of music, I decided to do a little more exploring and I stumbled onto the YouTube Official Blog introducing their new initiative: Music Key. You may already pay for NetFlix’s monthly subscription, but does this seem like something you’d buy into as well? I’d like to hear more before I take the dive; for now I’ll stick to the freebie version. 55% follow because they like the brand. 52% follow for special offers or promotions. 51% follow to stay up to date with news from the brand. Somewhere subconsciously in your brain, you’re likely asking, ‘what do I have to gain from taking this action?’ And it’s a great question. Is it because you’re looking to be entertained, to get answers, to participate in an activity… Well there are a few more reasons than the 3 above – 10 to be exact. 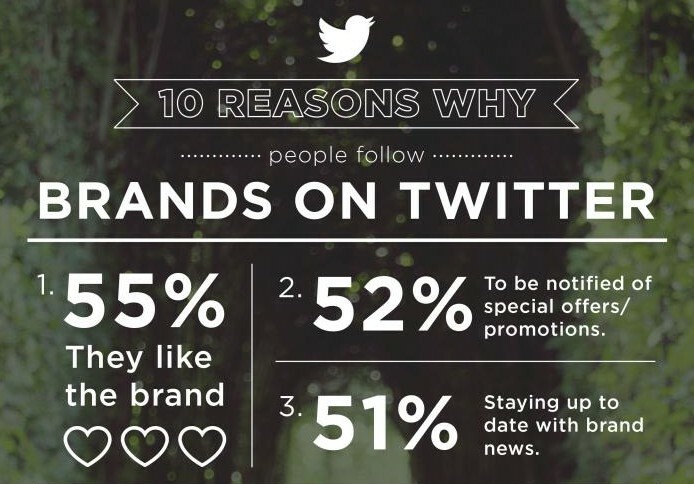 See here, for the Top 10 Reasons Why People Follow Brands on Twitter from Twitter UK. What next? Take this information, and deliver. Have giveaways, provide new product information, welcome feedback, entertain people etc. and people will see the benefit in following you too.